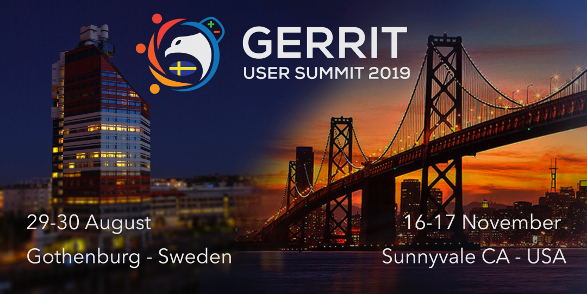 5 days of Hackathon (RSVP) + 2 Days Gerrit User Summit (for everyone) at Volvo Cars HQ in Gothenburg - Sweden, sponsored by GerritForge. This year the Hackathon will be extended to all the people that have never contributed before but are willing to learn how to extend and use the Gerrit API. 5 days Hackathon with the Google and other contributors' Teams working together in the same room. Main focus is the release of Gerrit v3.0, the first official version with a 100% Polymer UI (PolyGerrit) and NoteDb (aka Git repos) as the only storage for commits, reviews and all the other meta-data. Gerrit User Summit brought the whole community and ecosystem at Cloudera in Palo Alto. Attendees had the opportunity to learn about the new features in Gerrit v2.15 and v2.16 and explore, network face-to-face and help shape the future of Gerrit development and solutions. Attendees from 14 different countries reunited together in one location to exchange experiences and practices that foster the community with new and useful ideas. Gerrit 2.15 has been announced and released, the very first version with full support for NoteDb and with a 90% feature complete PolyGerrit UX. 5 days of intensive hacking on Gerrit Code Review with both Backend and Frontend Teams working together in the same room. Gerrit v2.13.8 and v.2.14 have been released, with the first official version of the new Polymer-based Change Screen in Gerrit (aka PolyGerrit). World event for the Gerrit users community to explore, discuss and shape the future of Code Review. Amazing talks are already on the agenda, including Atomicity with change-sets, Gerrit analytics, Update on PolyGerrit, Zero-downtime Gerrit upgrades and what's new and forthcoming in Gerrit. 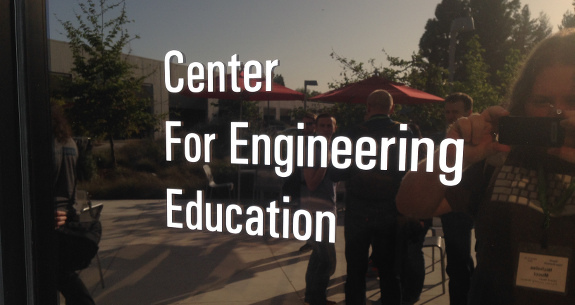 Several Gerrit contributors met up at the elego office March 14 through March 18. They worked on diverse topics. The focus was on converting submit rules from Prolog to Java, storing Git repositories on different paths, tagging of reviews to allow filtering of bot comments, and implementing git-lfs for Gerrit. Additionally, the team fixed a number of bugs. The event attracted 17 people from various companies, including four Gerrit maintainers. 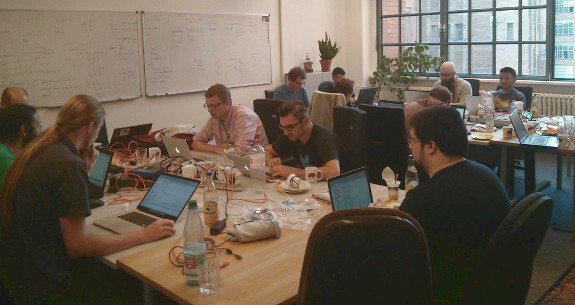 Between 8th and 12th of September 2014, first Berlin based Gerrit Hackathon took place. It was joined effort of CollabNet, Elego and Aservo to host it. The event attracted 16 people from various companies, including four Gerrit maintainers. 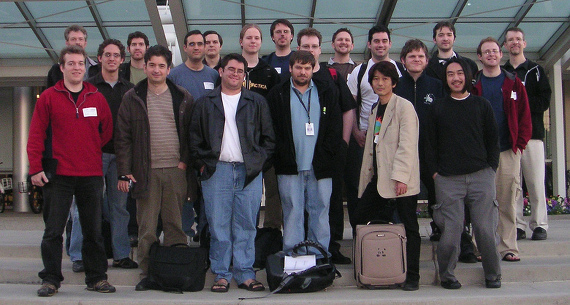 Gathering of Gerrit Code Review users, administrators and developers. This a user and administrator centric conference. Case studies, deployment success and failure stories, customizations and hacks, plugins and extensions, integrations with other systems ... are all very interesting to learn about and share ideas. Special ad-hoc hackathon focused on improving Gerrit scalability and performance, organised and hosted by Qualcomm Innovation Centre. Lucene indexing work has been progressed with experimental tests against his 300,000 change database. Bugs fixed in the ChangeIndexer called from REST APIs and ... surprise surprise, Guice request scopes were broken here and needed to be fixed to continue further. 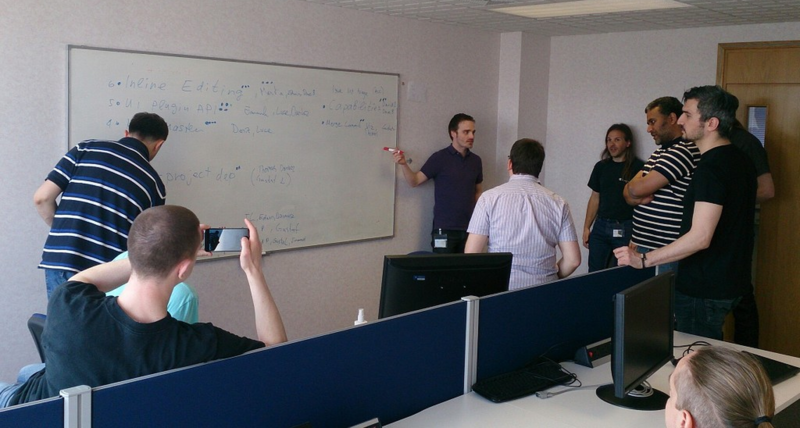 GerritForge is proud to have organised and hosted the first European Hackathon on Gerrit Code Review in London (UK). 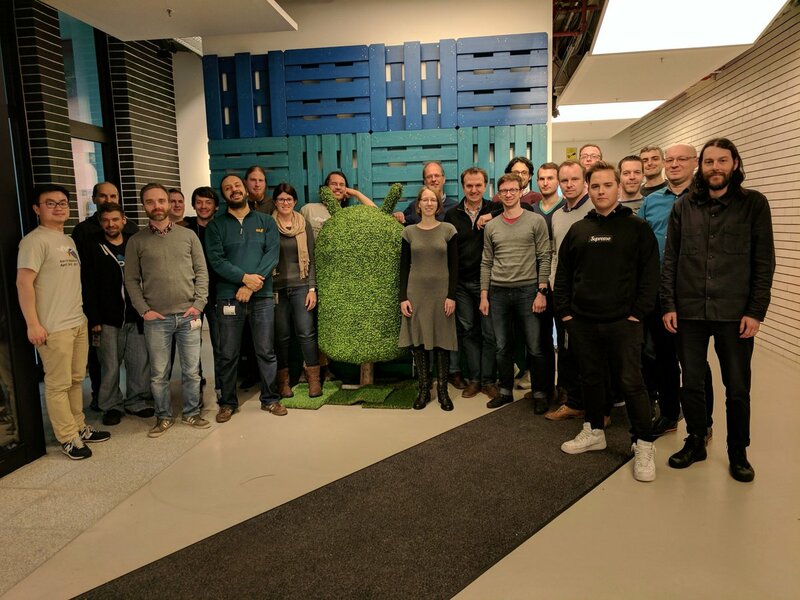 It has been a fantastic opportunity to have the core Gerrit developer Team hacking on Gerrit code side-by-side on some new exciting new features to be released under Apache 2.0 OpenSource community license. Gerrit contributors and maintainers flew to London from 6 countries around the globe to spend four intense days and evening in improving the Gerrit code-base. First event officially named "Gerrit User Summit" after the Git Community decided to split the GitTogether event into a Git Merge event in Berlin organised by GitHub Inc.
Lots of interesting talks and official presentation fo the Gerrit Plugin architecture and the Git reachability Bitmap on JGit that allowed to significantly reduce the clone operations with regards to objects counting. 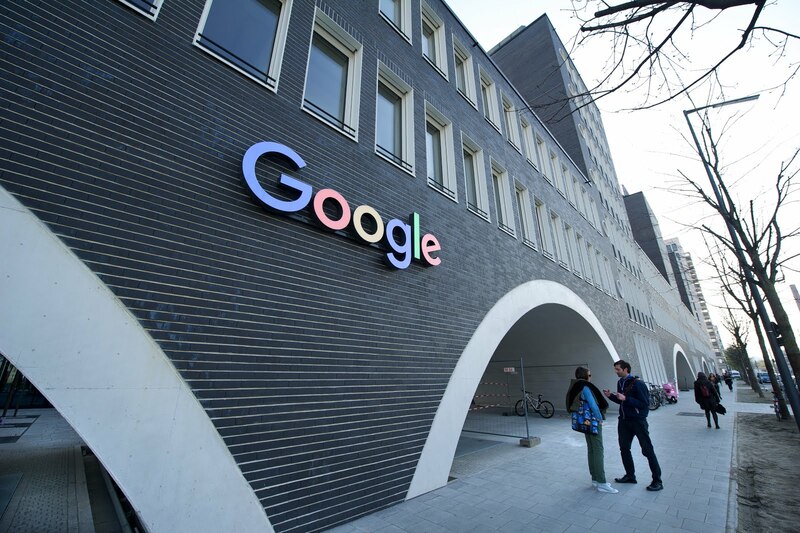 Third official Gerrit Hackathon organised by Google: the main contributors of the initial Gerrit 2.1.x code-base got together to start innovating the platform and extending underlying infrastructure. This hackathon had been highly productive with over 350 patch-sets submitted in only 5 days! 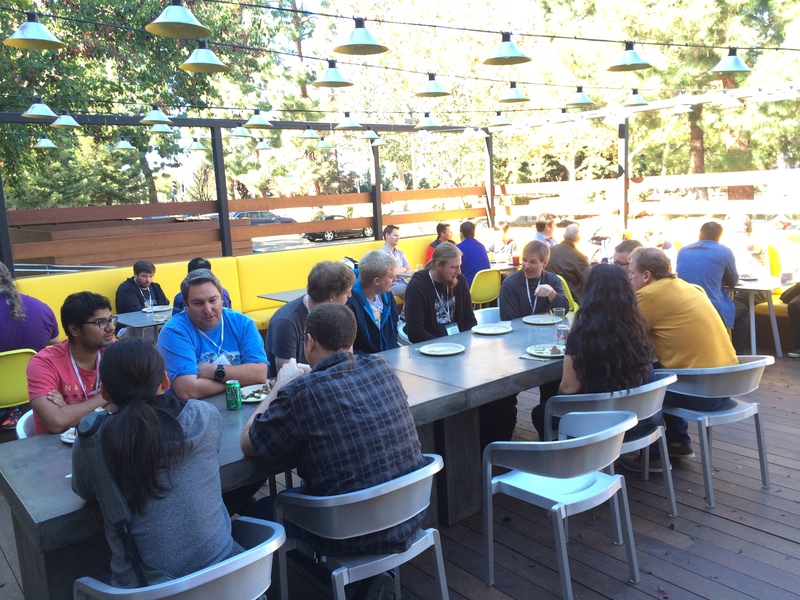 Autumn tradition to host GitTogether, two days of unconference where Git developers, enthusiasts, and users gather at Google’s headquarters in Mountain View, California to share ideas on future directions of Git and to discuss the tools that support the larger ecosystem. This year was no exception. More than 55 people showed up for GitTogether 2011, and one thing that is notable is that at many of the attendees’ $DAY_JOB, the combination of Git on the desktop with Gerrit Code Review on the server side has become the standard set-up to run development work. 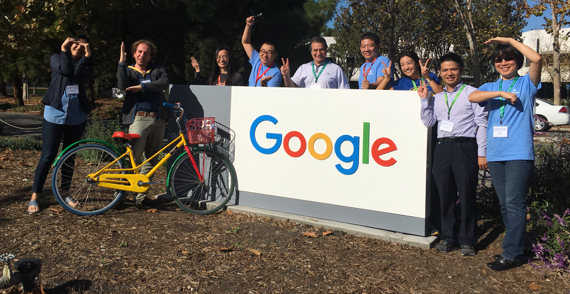 Last week around 30 Git developers and users gathered for GitTogether ‘10 at Google’s headquarters in Mountain View, CA for three days of hacking, sharing ideas, and making plans for the future of Git and its supporting tool ecosystem. This was the third time we’ve hosted a GitTogether, and we were really excited about the turnout this year. The schedule for the three day conference was determined in “unconference” style, with topics for discussion originally suggested on the wiki and later developed in-person through sticky notes posted on a white board. Attendees also took advantage of the #gittogether IRC channel on freenode and an Etherpad server hosted by the OSUOSL, allowing individuals who couldn’t make it in-person to at least have a virtual presence. 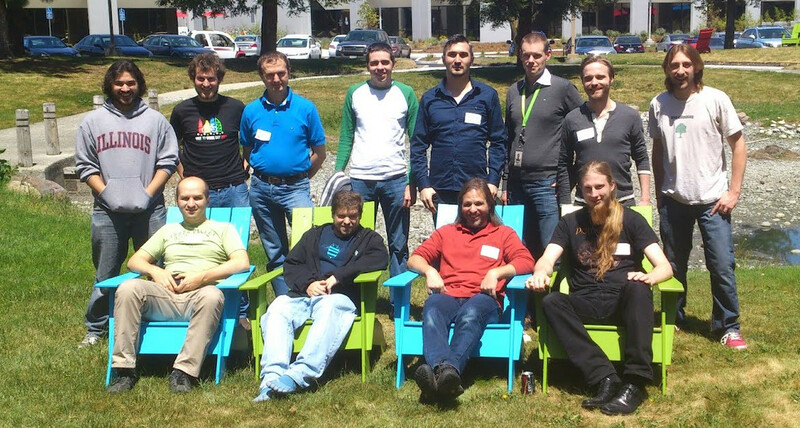 17 members of the OpenSource community got together in Google to share ideas and present innovations around Git. 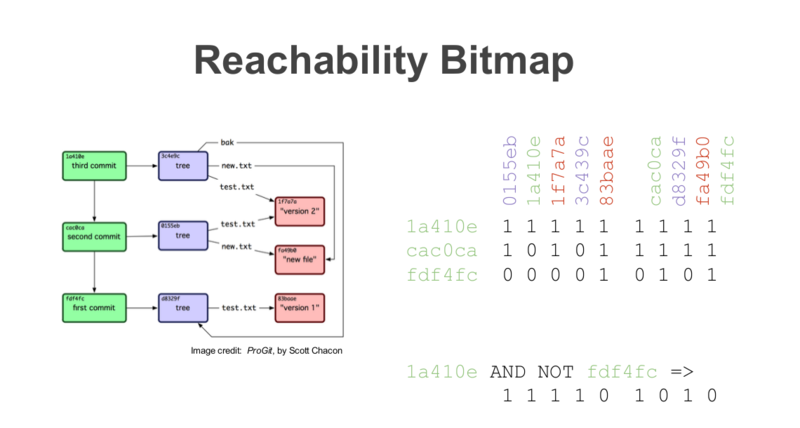 Shawn Pearce presented Gerrit Code Review to the OpenSource Git community (Ver. 2.0 - released on the 26 of January) whilst Scott Chacon presented an innovative Ruby library to use Apache Cassandra as Git storage backend. 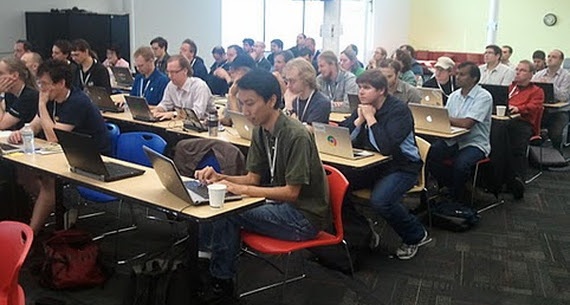 First official conference of the Git developers community organised by Shawn Pearce at GooglePlex in Mountain View - CA. Shawn Pearce presented for the first time the slides of the JGit project that will soon become the foundation of Gerrit Code Review for high-performance and scalability Git and Code Review backend. Tom Preston-Werner officially introduced as well a new web-site called GitHub, defined "a social layer over Git".